NaEra's Escapades: An Anatomy On Abayas! "Fashion is a statement, Not a style. Fashion does not have to be worn casually. Nor Outside the Runway. Fashion is fit for all sizes for all people of all ages. Fashion is an art of personal self expression. Not an excuse to be pretty, popular and charismatic." Hey guys, So today we decided to showcase the plethora of Abayas - the biggest style statement in the history of Islamic clothing. 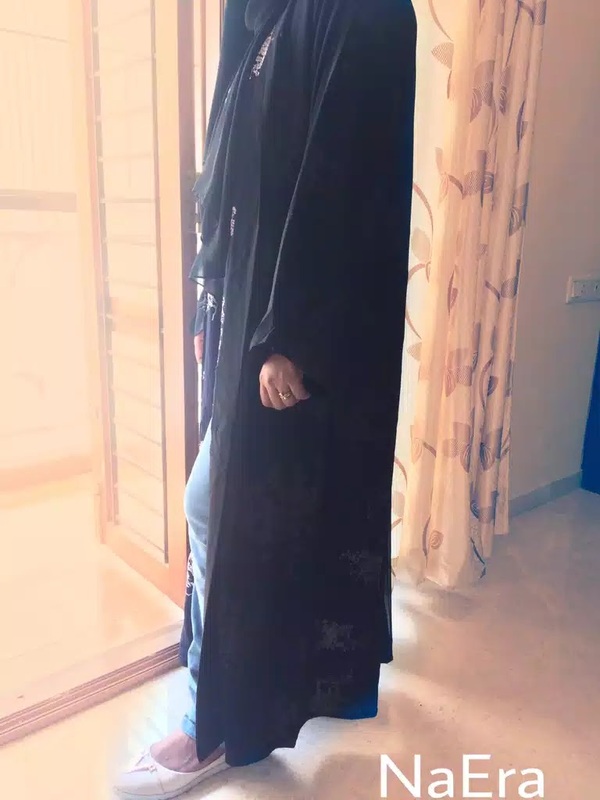 As the oxford dictionary defines 'Abaya' as a full length , loose- fitting over garment worn by the Muslim women, over the years the designers have come up with beautiful yet modest styles of Abayas. 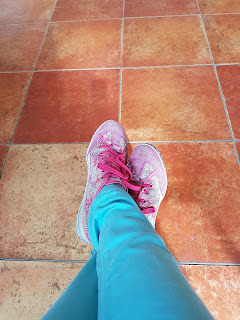 This is the most comfortable and decent style that everybody opt for! 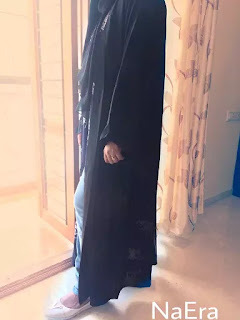 Whether a college going girl who needs be presentable everyday or a home maker who needs to head out for grocery....this is the style that goes best...A long , loose, black and simple abaya which needs to be buttoned up. And you're good to go!!!! Every one loves to deck themselves up when it comes to parties and functions. Hence, for this purpose the Abayas are made carefully using the 'fursan' fabric. It is the most soft and the best fabric used especially for designer Abayas. These Abayas are decorated with intricate embroidery , or crystal work or laces which gives them the panache look!!!!!! 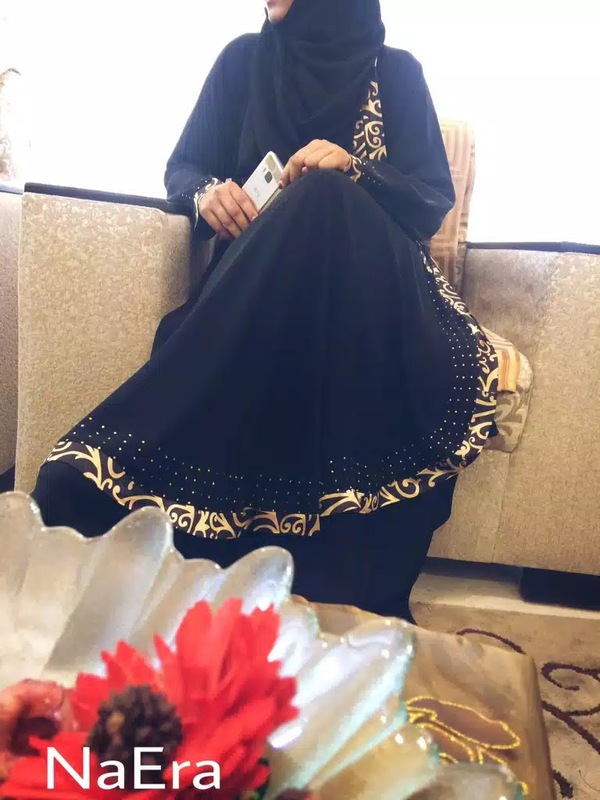 Black- the colour of Abayas! But with the evolution of time people have come up with beautiful ideas to bring about a change in the look of the abaya. They have given colours that compliment the black abaya very well. Light colours such as beige, white, light gray, peach, browns and baby pink go very well with the black Abayas. These colours are blended well into the abaya, they are either printed with these colours or sequenced or laced , which elevates the flair of the abaya!!! 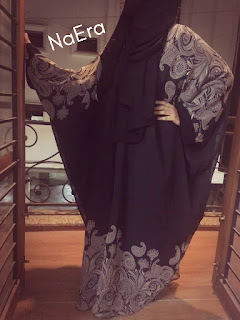 An abaya can definitely be worn along with maxi dresses, jeans, and maxi skirts, this gives you a chic look. 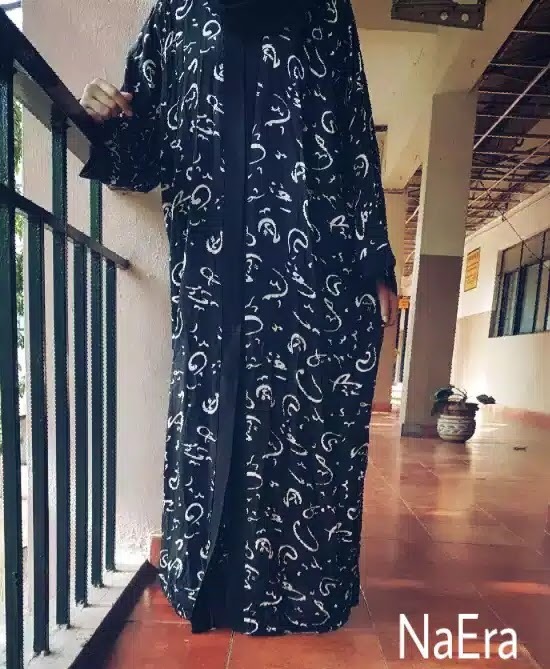 These kind of Abayas do not have buttons/ belts. They also have large sleeves compared to other abaya sleeves. The material used is mostly synthetic fabric and usually these kind of Abayas are double layered. These are famous among the western Muslims....and its slowly spreading to the Asian countries as well. This look is my personal favourite, this abaya is nothing but a kaftan inspired abaya. 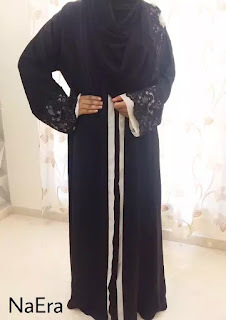 The edges of the sleeves are directly attached to the remaining length of the abaya, unlike all the other Abayas. It's the the most beautiful look the designers have ever created. It's so comfortable and can be worn for any occasion. The best part of this abaya is the flow that it gives, the material used is usually chiffon teamed up with a satin fabric underneath. This look is quite famous among youngsters.